7 day holidays bookings commence at 3pm Saturday to 10am Saturday. We are not able to hire the caravan to all female or all male groups. 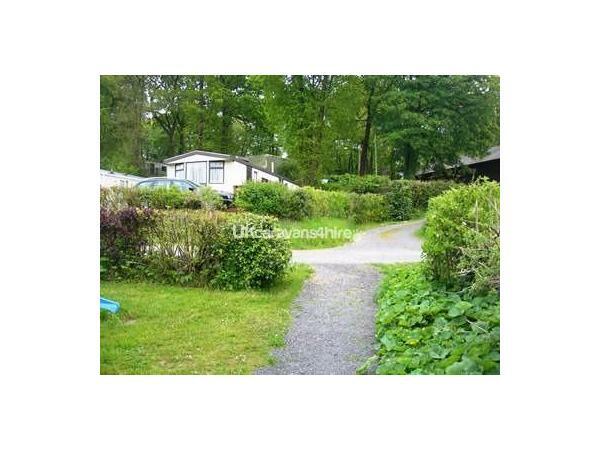 The main hirer must be over 21 years of age and stay at the caravan during the hire period.
. Well behaved pets are welcome, they must not be left in the caravan on their own at any time. There is a £50 refundable key charge, that is returned within 7 days of the hire providing there is no damage, breakages and/or missing inventory. items. 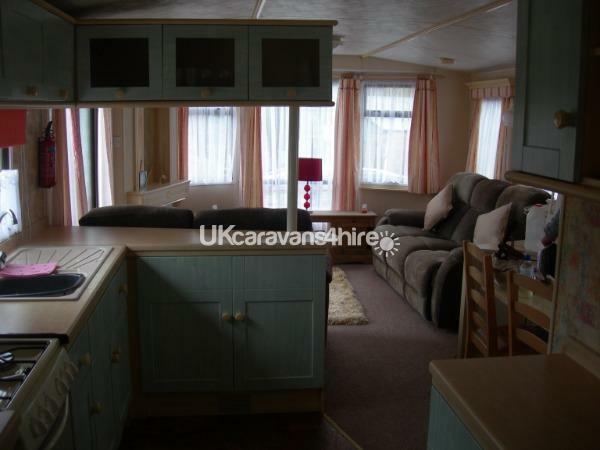 This is a comfortable static caravan holiday home.The lounge has a 2 seater and a 3 seater sofas for cosy nights by the fire. There is a separate dining area with a proper table and chairs this is located next to the fully equipped kitchen. 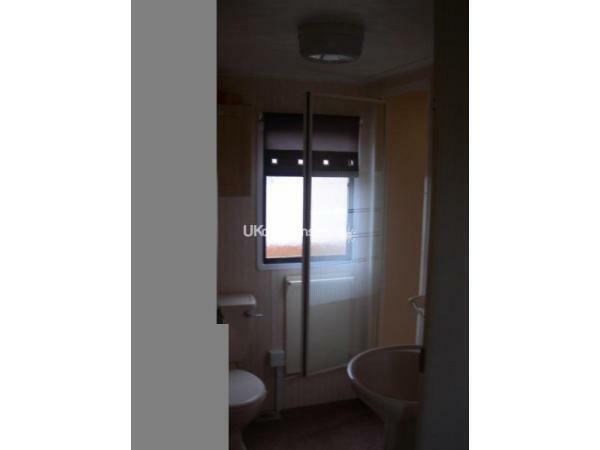 The double bedroom has an en-suite WC in addition to the full size family shower room with a deep roomy shower. A good location for visiting some of the best beaches in Wales. Interesting towns and beaches close by are Carmarthen(This is the legendary birth place of King Arthurs Wizard Merlin), Laurgharne( The Boat House was the home of Dillan Thomas), Pendine Sands, this 7 mile beach has long associations with speed trials and racing), Saundersfoot( Growing in reputation for being a gourmet centre) and Tenby ( Pastel colour buildings and boat and fishing trips) , also these major attractions Oakwood Theme Park, Folly Foot Farm, The Blue Lagoon. All accessible within 30 mins. Come to south west Wales 'Relax and Enjoy'. 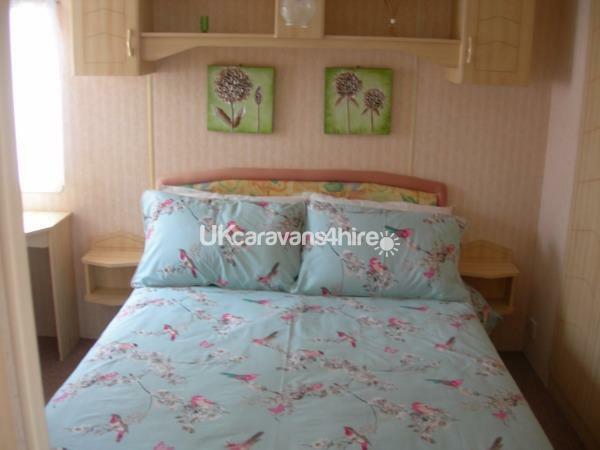 Our 35 X 12 foot caravan sleeps 4 people, in a double bedroom with ensuite wc and wash basin, the second bedroom has twin beds. There is a family shower room with shower, wc & wash basin. 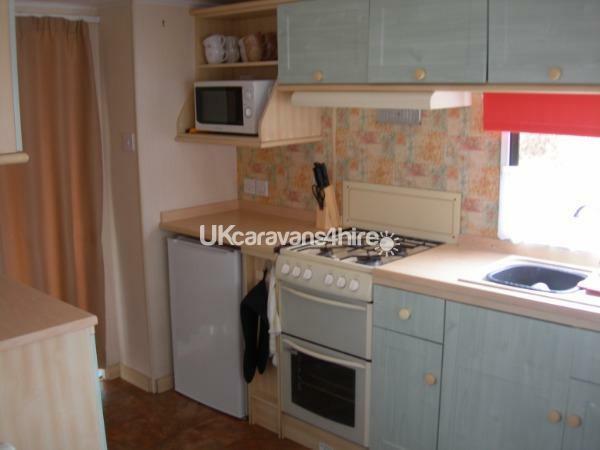 The kitchen has the everyday essentials that you are likely to need, including a gas cooker with grill and oven, slow cooker, 4 slot toaster, microwave oven etc. Plus a full range of pots, pans, oven ware, crockery & cutlery. The lounge is the ideal room to relax in. 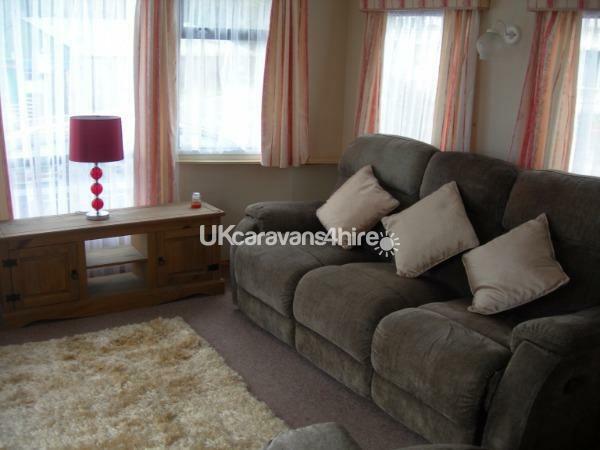 It has both 2 seater and 3 seater reclining sofas a 32” television with Freeview and DVD player and a Radio CD player. 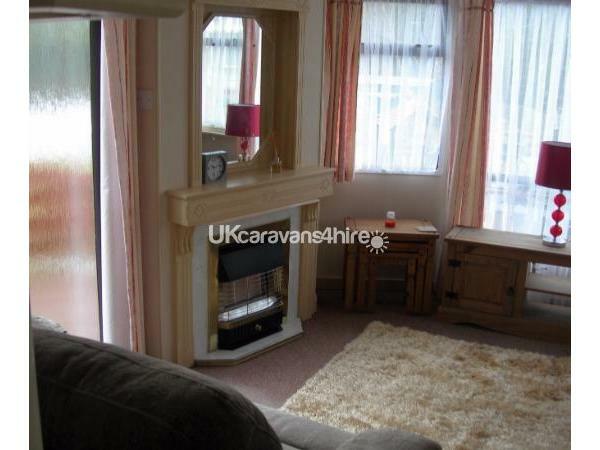 For your added comfort there is a gas fire if the evening is chilly. 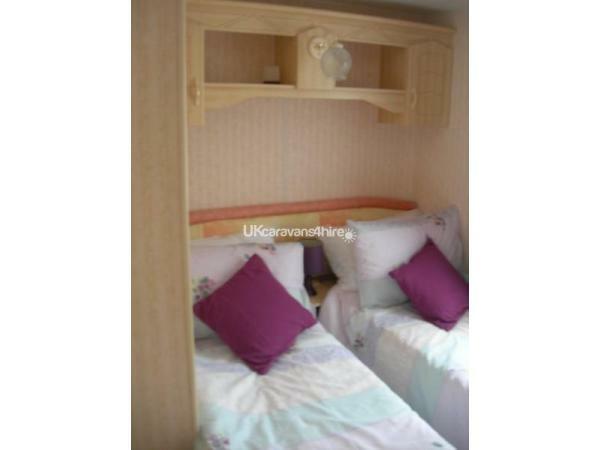 The double bedroom room has double wardrobes with a plentiful supply of hangers and an electric radiator, The twin bedroom has 2 single beds, and a wardrobe with coat hangers. 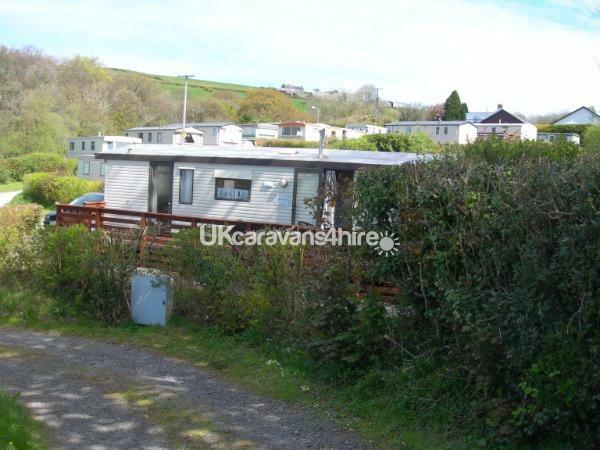 Outside the caravan is a gated timber decking area with table and chairs, wicker chairs and coffee table, sun loungers, also a parasol and a gas Bar-B-Q. 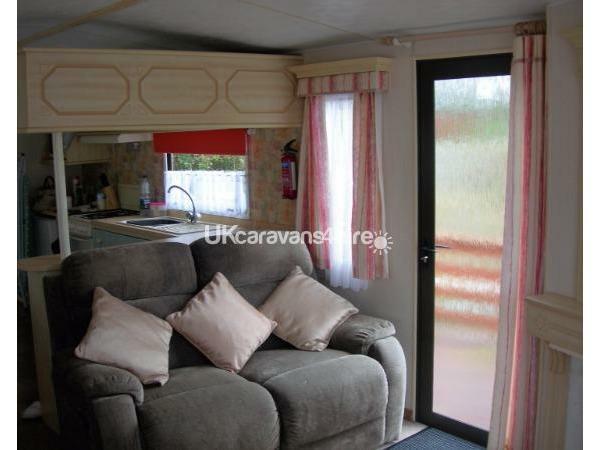 Unfortunately we are not able to hire the caravan to all female or all male groups. 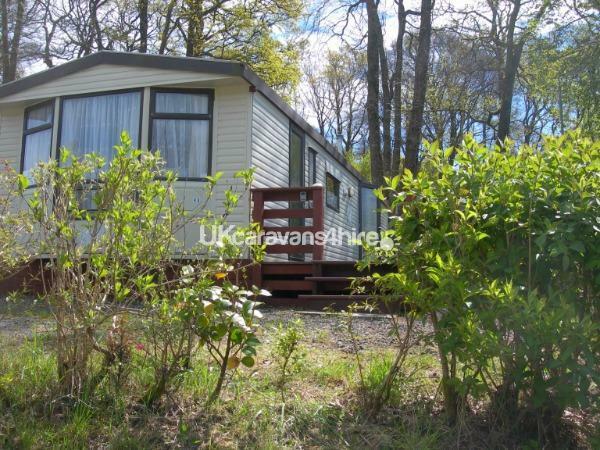 The main hirer must be over 21 years of age and stay at the caravan during the hire period. By entering into a hire agreement the hirer accepts responsibility for breakages, damage and missing inventory items. Cannot rate this place enough. we booked this as a late booking a few weeks before to have a whit week break with our 4 and 5 year old. The site, is amazing. it's very quiet so not ideal if you have young kids and want to stay on site,but its easy to keep kids occupied nearby. The van is in a brilliant plot with gorgeous views from the decking area, and everything you would think to need plus more! 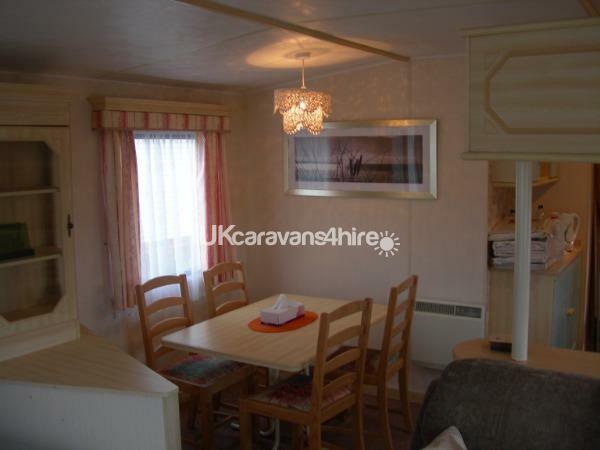 thers outdoor tables/chairs for eating, a large gass bb, wicker sofas and chairs plus a shading unbrella, the van itself is very very roomy for a caravan and very homely, with an en suite! confy beds like at home not the usual van beds, 2 large reclining sofas for relaxing of an evening, magazines, dvd's, books, everything you could think of! Roy and Gill have made this van so homely its an absolute pleasure to stay in, the owners are lovely and frinedly, we can't wait to book again!